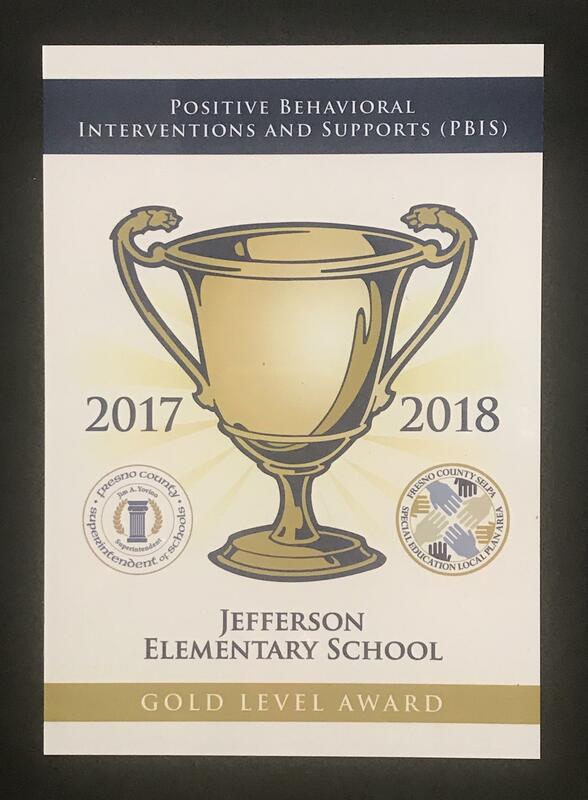 Jefferson is in the 5th year of implementing PBIS (Positive Behavioral Interventions and Supports). Students S.O.A.R. at Jefferson. There are several reward/recognition systems in place for students who exhibit S.O.A.R. 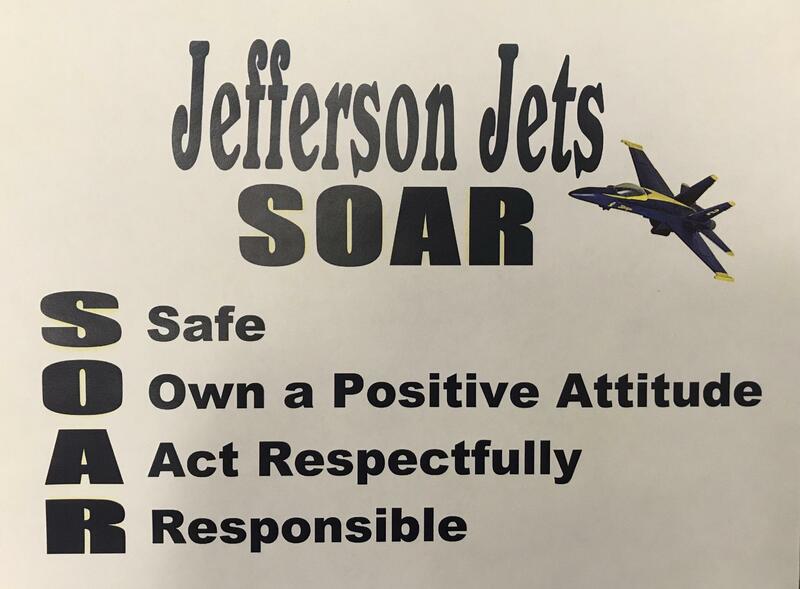 expectations at Jefferson School including Hangar time, No Absences/No Tardy Parties, Awesome Aviators Club, “Caught Being Good” and Golden tickets. The matrix explains how students can S.O.A.R. at different areas on campus. Jefferson students and staff S.O.A.R. High...S.O.A.R. Proud...S.O.A.R. to Excellence! By the end of the 2nd Trimester, the number of positive points given through ClassDojo will be at 80% or higher. Suspensions will maintain or decrease to 0 for the year compared to the 2017-2018 data. By March 2019, 25% of the 2nd - 5th grade students will improve their SRI score by 100 points or more as compared to their September 2018 SRI score. By March 2019, 25% of the Kindergarten and 1st grade students will score proficient on the BPST.